In this episode we are joined by Jeff Surak. We actually start with playing tracks from Toke Picabia’s album Delmore FX, but get into a lot of words and confusions starting of with the description of a pair of shoes. Greek Gods, Hermann Hesse, pink cows and quantum mechanic popcorn are mentioned, a small helicopter lands in the middle of a busy street near Bahnhof Zoo and we spin Delmore FX’s album Toke Picabia another time, trying it out on 33′ and 45′. We actually end up recommending the album for use as very intelligent and pleasing wallpaper. But at this time we are already lost in the mythology of the shoe. We wanted to play Excavation Series 7, which I took home and played in my kitchen, and now I am hooked to it, and think of uploading it and present it on our radio as a piece of Radio Art, but back then in the studio we started with the wrong track, or maybe it was the right track, but we didn’t feel much like listening to someone shouting devil and lie and jimmy carter, so we started mistreating the tape, and this mistreatment eventually evolved into a musical interlude with Jeff Surak, Adrian and me throwing in sounds. 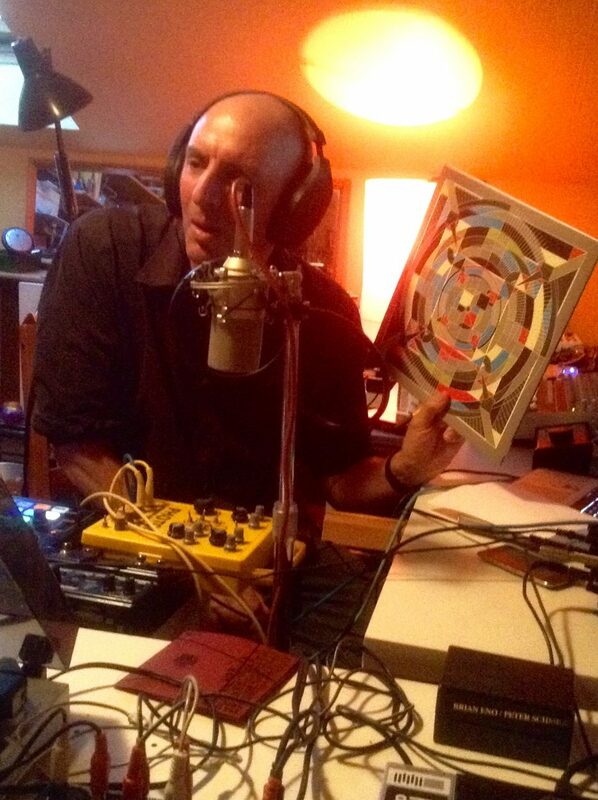 Follows talks about the May bug and Jan Fabre; Delia Derbyshire and Dr. Who come along. We eat ecological lentil crisps and dream about roasted bed bugs on our plate. Jeff Surak tells us to hire a street artist who’ll paint Radio On logos all over Berlin and creates a Radio On jingle as well (Radio On, Move to the Right Channel). We play several songs from the Bed Bugs compilation, throw in more shoes and end up with a long improvised piece of several sounds drowning in The Sea of Reverbia.